If I’m honest, when it came to Halloween this year, my head just wasn’t in the game. But, last night, when I dressed Katie and Matthew for their evening of fun, all of that changed. I even got them gold grillz to make their costumes a little cooler. Click here if you are wondering how to get a grill. 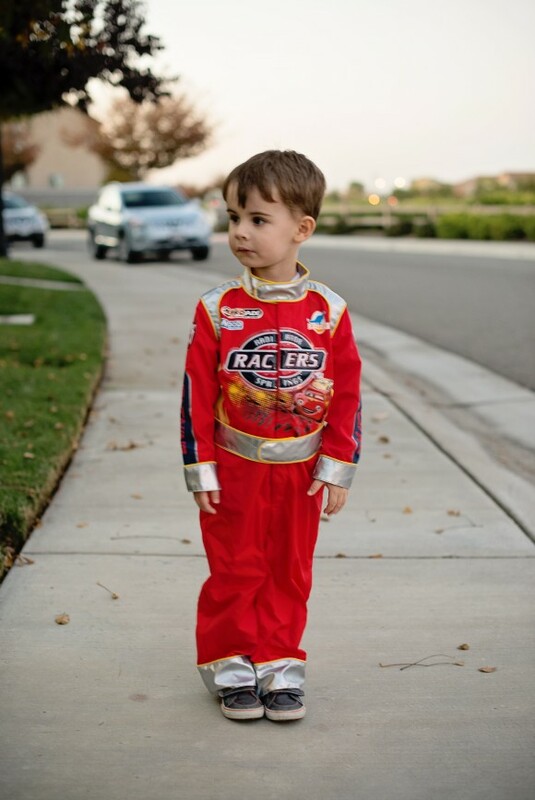 As I braided Katie’s hair and secured the Velcro of Matthew’s race car driver suit, I was reminded that they are just what I need. A light-hearted night of trick or treating was a beautiful reminder to live in the moment. And for the millionth time since they were born, my heart nearly exploded from gratitude. Seriously, how beautiful are they???? I can’t even handle how adorable they both are in these pics. 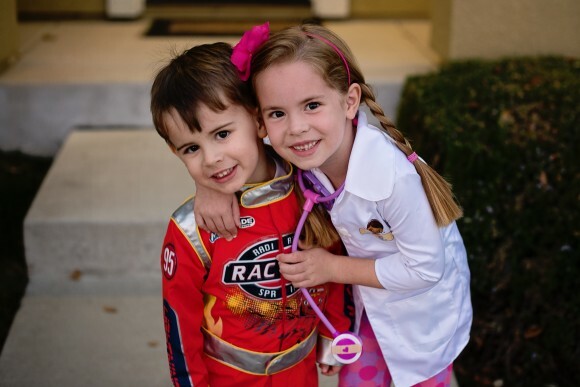 And Uncle Max would totally approve of Matthew’s NASCAR costume, just like Penny would love Doc McStuffins! I’m glad you were able to enjoy the evening with the kids. Btw, nice job with these photos! 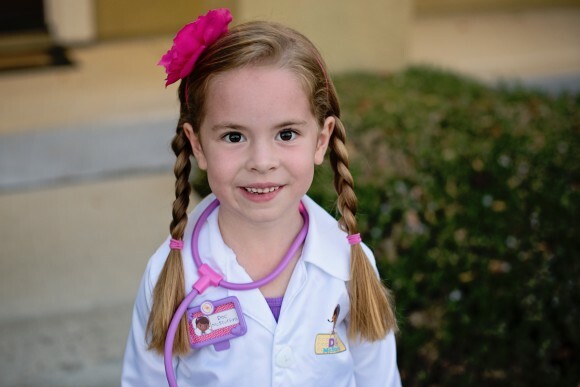 just thinking of you…plus I showed the boys that pictures of Katie and Matthew and Jacob said, “she’s the prettiest Doc McStuffins except for the other one.” Which I think is a pretty high compliment from a 5 yr old.